Most of the food we eat is turned into glucose (sugar) for our bodies to use for energy. The pancreas, an organ near the stomach, makes a hormone called insulin to help glucose get into our body cells. When you have diabetes, your body either doesn’t make enough insulin or can’t use its own insulin very well. This problem causes glucose to build up in your blood. Diabetes means that a person’s blood sugar is too high. Your blood always has some sugar in it because the body needs sugar for energy to keep you going. But too much sugar in the blood can cause serious damage to the eyes, kidneys, nerves, and heart. Urinating a lot—often at night. Having blurry vision from time to time. Feeling very tired much of the time. Having sores that are slow to heal. Getting more infections than usual. Losing feeling or getting a tingling feeling in the feet. Type 1 diabetes—A condition in which the pancreas makes so little insulin that the body can’t use blood glucose as energy. People with type 1 diabetes need to take insulin every day. Type 2 diabetes—A condition in which the body either makes too little insulin or can’t use the insulin it makes to use blood glucose as energy. All people with diabetes need to eat healthy foods stay at a healthy weight and be active everyday. Type 2 diabetes is the most common from of diabetes. Another type of diabetes appears during pregnancy in some women. It’s called gestational diabetes. One out of 10 people with diabetes has type 1 diabetes. These people usually find out they have diabetes when they are children or young adults. People with type 1 diabetes must inject insulin every day to live. The pancreas of a person with type 1 makes little or no insulin. Scientists are learning more about what causes the body to attack its own beta cells of the pancreas and stop making insulin in people with certain sets of genes. Most people with diabetes—9 out of 10—have type 2 diabetes. The pancreas of people with type 2 diabetes keeps making insulin for some time, but the body can’t use it very well. 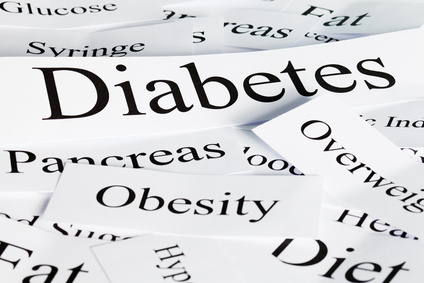 Most people with type 2 find out about their diabetes after age 30 or 40. Diabetes touches almost every part of your life. It’s a serious, lifelong condition, but there’s a lot you can do to protect your health. A family history of diabetes. Being of African American, American Indian, Alaska Native, Hispanic/Latino, or Asian/ Pacific Islander heritage.